If you’ve already had LASIK, then you know what visual freedom from glasses and contacts feels like. Now you’ve been told you have a cataract, and your vision has faded. In the past, your LASIK would have limited your intraocular lens (IOL) options. Dr. Raviv has implanted the latest generation IOLs in post LASIK patients. In many cases, enhancing their vision even beyond what they had achieved with their LASIK. 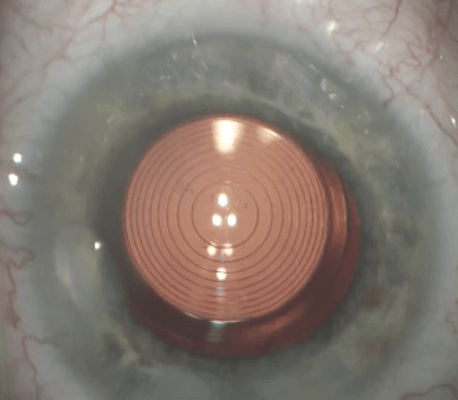 Here the Symfony IOL is shown in a post LASIK eye. The patient now enjoys glasses free vision for distance and near. Here is a recent industry journal article describing Dr. Raviv’s approach to cataract surgery after LASIK. Dry Eye disease is a common chronic disease that affects millions. Its symptoms range from grittiness, dryness, and red eyes to itchiness, tearing, fluctuating vision, and pain. 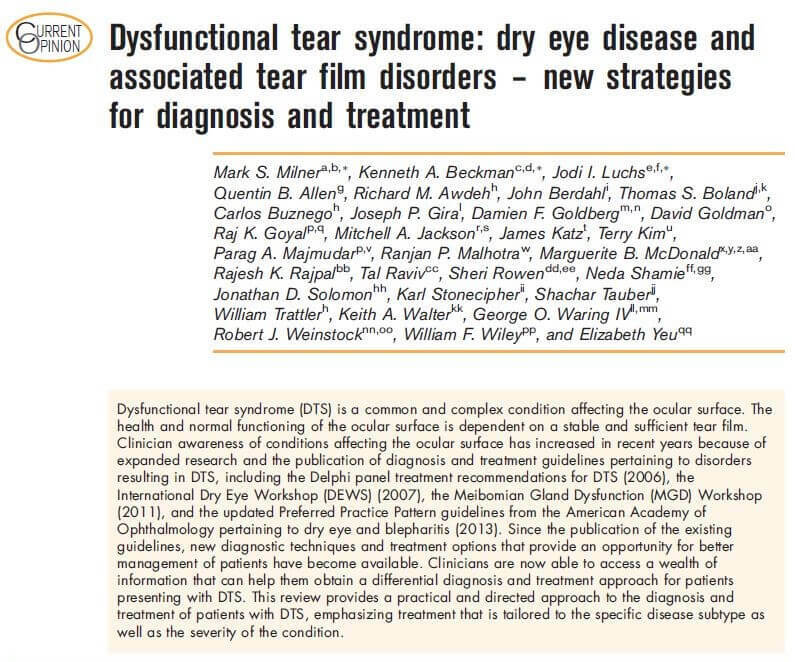 In this important publication, Dr. Raviv and other national experts in dry eye, present the latest strategies to treating dry eye disease. At the Eye Center of New York, we have the latest in dry eye diagnostics and treatment. If you’re a dry eye sufferer and haven’t been screened for early Sjogrens, MMP-9 inflammatory markers, lipid layer thickness, or meibography, than you haven’t had the latest and we recommend coming in for a comprehensive work-up.